The House has a blend of architectural styles and features, developed throughout 400 years of history. It was built by the Knight family in the 1580s following the acquisition of the estate by Nicholas Knight in 1578. There was already a manor house on the estate prior to this, first recorded in 1224. The house has undergone centuries of change and development as it has passed through different hands and there are fascinating heraldic stained glass windows and ornately carved fireplaces. The house’s most famous association is with Jane Austen, whose brother Edward, inherited the house when distant family members, Thomas and Catherine Knight, made him their heir. 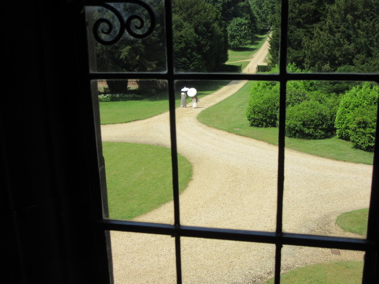 Edward offered the bailiff’s residence, five minutes’ walk from Chawton House, to his mother and sisters, Jane and Cassandra, and it was there, now the Jane Austen’s House Museum, where Jane enjoyed the most prolific period of her writing life. Our day started as we joined the coach in Lymington. The weather was forecast to be the hottest day of the year so far, and we were relieved to be called by the coach company the evening before, who announced that they had upgraded our coach to a 50-seater, with air-conditioning! There was some consternation when it seemed the coach could not turn into the driveway because of its length, but we all descended and made our way up the long straight drive towards the house. This would have been a sight with which Jane Austen would have been very familiar and we felt excited to be following literally in her footsteps. 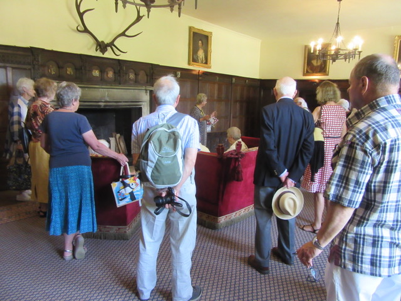 We were warmly greeted by Jane Maxwell, a very knowledgeable volunteer at the Library, who showed us into the old kitchen for coffee and biscuits and then a brief introduction to the House and Library. 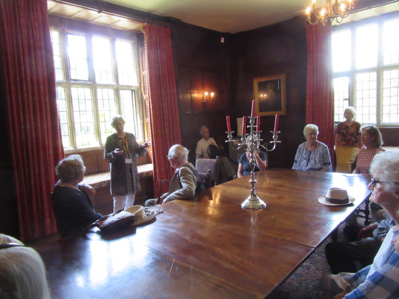 The tour revealed much about the House as well as the history of its inheritance. One interesting fact came to light that as each subsequent owner inherited it, they were obliged to change their name to Knight. This included Edward’s eleven children! In the great hall we saw a letter, dated All Saints Day 1868, that had been discovered in a bottle under the floorboards in recent restoration, found extraordinarily on All Saints Day! Once the work was completed a similar letter was left there for future generations to discover. In the dining room we sat around the table that Jane and her family had dined at. The visit to the Library itself was impressive, even though the rare and more valuable books in the collection were safely under perfect and secure conditions in the basement. The library holds over 10,000 works by women from the period 1600 to 1830. Many of these writers were famous in their day but have now been forgotten by mainstream publishing. Anyone can visit and study this collection, free of charge, and need only phone and book a place at a desk. It was wonderful to be in the historical setting that brought to life the social, domestic, economic and cultural context in which these writers lived and worked. 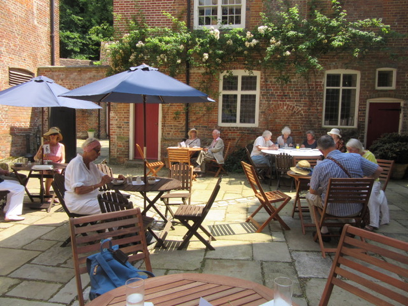 By now our party were wilting somewhat from the very high temperatures and so we sat comfortably in the courtyard and enjoyed a light lunch before the party broke up to visit variously the gardens, the Church and the village of Chawton and Jane Austen’s cottage. Finally, everyone was back to the coach promptly and we had an amazingly swift journey back to Lymington, through the beautiful Hampshire countryside. 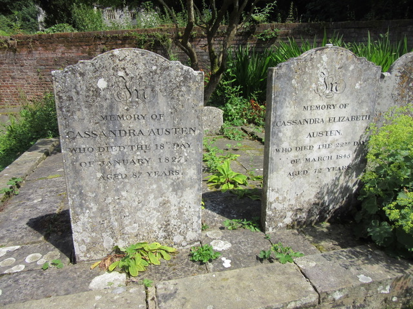 It was a day that we all enjoyed and from which we all came away with newly acquired knowledge about the Austen family, their beautiful house and the group of women writers represented in the fabulous collection of books. 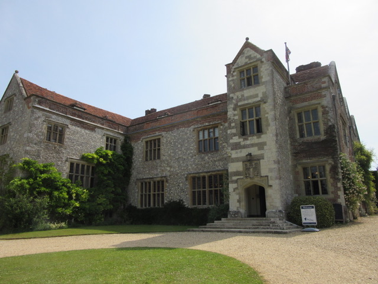 “Chawton House Library is currently at a pivotal moment in its 25-year history. Following the announcement by our Founding Patron, Dr Sandy Lerner OBE, that she was stepping down from the Board of Trustees last year – the Charity is currently undertaking a strategic review, with a clear focus on reshaping the organisation and creating resilience. Through her Charitable Foundation, Dr Lerner supported Chawton House Library with approximately 65% of its operating costs and, now that this relationship is coming to an end, we face both significant challenges, and exciting possibilities. To achieve these ambitions, the Charity is asking supporters to dig deep to keep our house and library going during a development phase, whilst progress is made on the planning and launch of a major capital project, Reimagining Jane Austen’s ‘Great House’.